Chanel N°5 is one of those perfumes. It’s famous, glamorous and chic and basically promises to make you smell divine and like Marilyn Monroe. It’s one of the best selling perfumes in the whole world, so I suppose I’m quite late to the party. 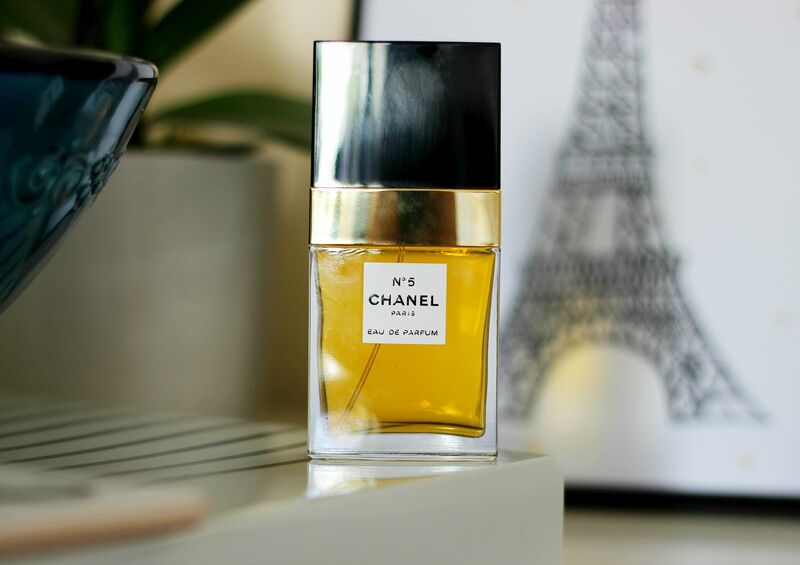 Chanel N°5 has been described as very heavy with the aldehydes. Mmm, aldehydes. I did a bit of research – highly recommend this book if you’re into perfume – and this perfume was the earliest one to include such strong aldehydes. It’s one of the top notes, so when you first spritz it it smells like soap and really clean. It dries down to something much warmer, but the soapiness lingers in the background. I can’t believe how much I love this perfume. It makes me feel instantly chic when I put it on, and I wore it everyday for a week. Coco Chanel apparently wanted this perfume to smell like a woman… as in, complex and not just one single note. The name comes from it being the fifth perfume that Coco sampled, and it was released on the fifth of May. Apparently Coco had a bit of a thing for the number 5. Have you tried this perfume? If not, I urge you to grab a sample – the Chanel counter in Debenhams on Oxford street is particularly friendly. What other classic perfumes must I visit?